Fundamentals ultimately drive value. In terms of the fundamentals, financial assets – stocks, bonds, real estate – are extremely overvalued. The precious metals sector right now is extremely cheap relative to fundamentals. Don’t be fooled into thinking that the stock market bounce that started the day after Christmas was the end of the “bear market,” as Jim Cramer is asserting. Bear markets last a lot longer than four weeks. A bear market in financial assets is just getting started. 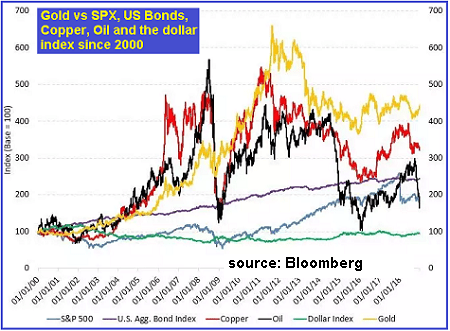 At the same time, the bull market cycle in gold, silver and mining stocks that began in late 2015 with a 250% run-up in GDX over the next 8 months is ready to resume after using just over 2 years to effect a 38% pullback from the sharp in 2016. Russian gold could become the perfect alternative to conservative investments in the greenback, the CEO of Russia’s key trading floor, Moscow Exchange (MOEX), believes. “Let’s offer an alternative to the US dollar in the form of Russian gold, which we produce… investment gold,” CEO Alexander Afanasiev suggested, speaking in the Lower House of Russia’s parliament on Monday. Russia is the world’s third-largest gold producer and in 2017 boosted its gold output by more than six percent. It produced almost 265 tons of gold in January-October 2018, according to data provided by the Finance Ministry. 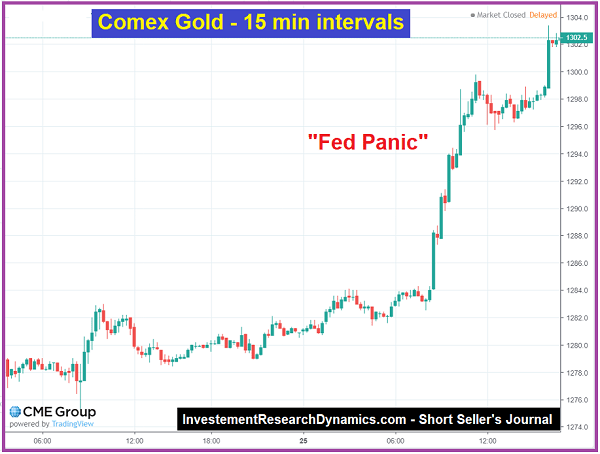 What’s In Store For The Precious Metals Sector in 2019? The Newmont/Goldcorp merger is the second mega-deal in the industry after Barrick acquired RandGold in September. Without question, the two deals reflect the growing need for large gold and silver mining companies to replace reserves, which are being depleted at these two companies more quickly than they are being replenished. The deal will give Newmont access to Goldcorp’s portfolio of developing and exploration projects acquired by Goldcorp over the last several years. The same “impulse” holds true for silver companies, the largest of which are diversifying into gold or acquiring competitors (Pan American acquires Tahoe Resources and SRM Mining buys 9.9% of Silvercrest Metals, which will likely block First Majestic from going after Silvercrest, and Americas Silver buys Pershing Gold). Similarly, we could see mid-cap producers merging with each other or acquiring the junior producers.